One of the more obvious alterations to Apple’s iOS 7 is the overall change in design ethos, with Jony Ive leading the Cupertino company towards a flatter, skeuo-free environment. It’s fair to say that John Gruber’s pre-WWDC assessment of the interface, in that it would be polarizing, has rung true, but irrespective of consensus, it is the look Apple will be sticking with. 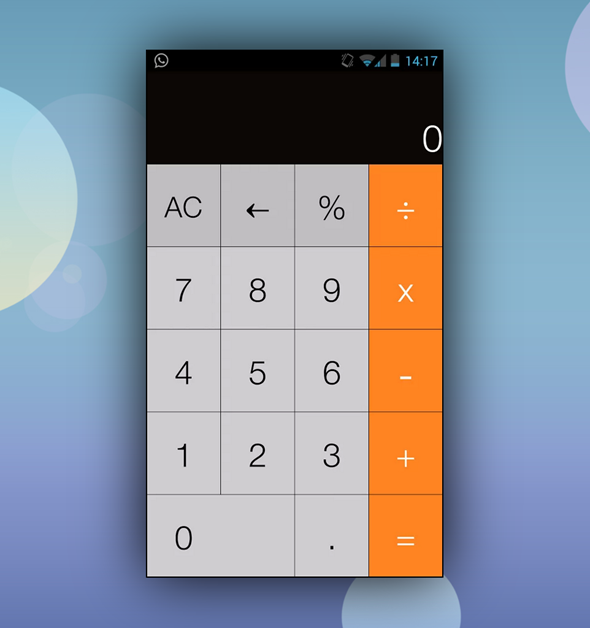 While Android won’t be seeing such radical changes any time soon – at least, not from what we hear – those running Google’s mobile OS can get a little taster of Apple’s new UI through an app called iOS 7 Calci, which offers a passable emulation of Apple’s new Calculator app. Now obviously, some may see the downloading and installing of an app borrowing from iOS 7 as some kind of blasphemy, and considering how strongly folks seem to defend their favored ecosystems, there will certainly be some Droidsters out there unwilling to give this app a second glance. But what iOS 7 Calci does offer, besides the obvious, is a clean, open interface that also functions nicely in landscape, something often lacking in even the most lauded calculator apps. 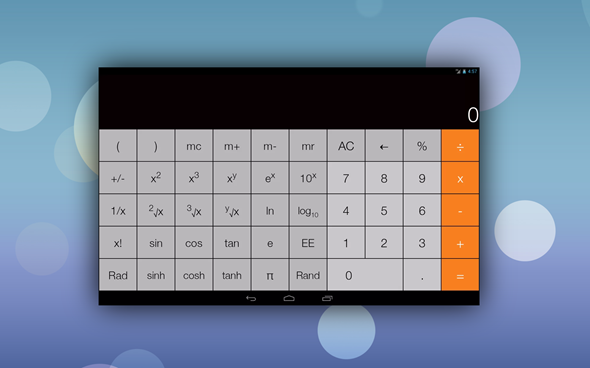 With relatively strong functionality and most of the buttons you’d expect from a scientific calculator, it does its job well, and with a backspace button at the ready should you make a mistake, provides essentially everything you could want from such an app. There’s not yet support for bracketing, and some advanced options are currently bereft, but provided the developer comes through with these improvements, iOS 7 Calci could well evolve into one of the better calculator apps available for Android. It costs 99 cents over at the Google Play Store, and is compatible with both Android smartphones and tablets. Please note, it does require Ice Cream Sandwich 4.0 or higher, so make sure your device meets the requirements before parting with any of your cash. If you do happen to give iOS 7 Calci a try, be sure to leave your thoughts and comments via the usual mediums below!